He “was the youngest son of Don Faustino Lichauco, a successful merchant and a member of Emilio Aguinaldo’s Revolutionary Junta. Marcial was a precocious young lad. Unusual for his time, he received his early education at the Central School, a school set up for Americans. 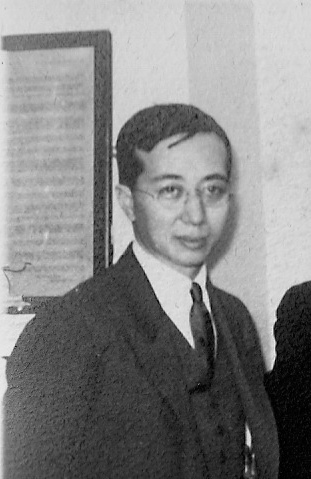 Graduating at the top of his class, he entered Harvard University at the age of sixteen, and became the first Filipino to graduate from the Harvard College in 1923. He subsequently went to Harvard Law School, graduating in 1926.” He was a partner in the legal firm of Manuel Roxas. Served as Philippine ambassador to Philippine Ambassador to the United Kingdom, Denmark, Norway and Sweden from 1963-66. Among his books are The Conquest of the Philippines by the United States, 1898-1925 (with Moorfield Storey); his wartime diary, written as a series of letters, published as Dear Mother Putnam: Life & Death in Manila During the Japanese Occupation 1941-1945 ; and Roxas: The Story of a Great Filipino and of the Political Era in which He Lived, a biography of the president. I have tried as much as possible to decipher Marcial Lichauco’s diary which is handwritten in fairly difficult at times illegible script, and peppered with abbreviations which I have kept in order to maintain the character and tone of the writing. Where words were indistinct or indecipherable, I have left them in italics and with a question mark. Where there were references to senators, congressmen, and other individuals, I looked up as much as possible some background material for footnotes, primarily using on-line Wikepedia sources. My apologies for unintentional inaccuracies and mistakes.